In 2015, 5,376 pedestrians were killed. In that same year, about 129,000 pedestrians were treated for non-fatal injuries. Pedestrians are 1.5 times more likely to be killed in accidents than those in cars. Depending on where you live in the country, you may already be seeing school buses on the road. Some buses are transporting children, and others are practicing their routes. Kids will be returning to school in the next couple of weeks if they haven’t already gone back into the classroom. The month of August is an excellent time to remind ourselves of school bus and pedestrian safety. If you’ve ever driven through a school zone, you know that they can be congested. Kids getting dropped off and picked up by parents, not to mention those getting on and off buses, can make moving through a school zone a harrowing experience. It can be even more hazardous with pedestrians and cyclists present. Hurrying through a school zone, whether in a car or on foot, puts everyone at risk. As Charlotte, North Carolina pedestrian accident attorneys, we find it important to remember that everyone shares in the responsibility of maintaining safety in a school zone. The good news is that there are things everyone can do to reduce the number of accidents involving pedestrians in these zones as the new school year begins. If you are moving through a school’s pick-up or drop-off zone, look for signage that tells you what to do. Do not double park your vehicle because this reduces visibility for others. Only drop children off or pick them up in designated areas. It can be tempting to park across the street or even down the block to avoid getting stuck in the traffic, but this is dangerous. Your children will have further to walk. Carpooling may help to ease your stress level and chances are that you will find other parents who will be happy to participate. Know what you need to do when you encounter a school bus. If the bus has its yellow lights activated, it means it will be stopping in the next several feet. Don’t pass it. If the red lights are flashing and the stop sign extended, it means children are either getting on or off. Don’t pass the bus in these situations either. Bus drivers are trained to only turn their lights off and begin moving again when it is safe to do so. Follow their lead. School zones often have speed limits that are lower than the rest of the roadway. Obey these limits and don’t ride anyone’s bumper. When you encounter a crosswalk, stop and let pedestrians walk through it. Understand that any law enforcement officer or crossing guard that is giving directions supersedes any signage that is present. Always stay alert as you pass through a school zone. Don’t assume that the children you see will stay on the sidewalk or even wait to cross at a crosswalk. Children may dart out into the road from areas you can’t see. If you are going too fast, you won’t be able to stop in time. If you are riding near a child on a bicycle, keep at least three feet between your car and the bike. If you are getting out of the car in a school zone, look over your shoulders before you open the door. Pedestrians and cyclists may not be aware of your intentions, and opening the door into someone’s path can cause an accident. Drivers aren’t the only people tasked with the responsibility of ensuring safety within a school zone. If you are walking through a zone, it’s up to you to act responsibly and the same goes for your children. If you are walking, stay on the sidewalks that are provided. In areas where there are no sidewalks, walk on the shoulder of the road as far to the right as possible. Walk facing traffic so you can see what is coming at you and react if you need to. You may not know this, but the majority of accidents involving pedestrians happen when pedestrians are crossing the road. Don’t cross until you get to a crosswalk. If there are no crosswalks, wait until you get to an intersection. Never dart into the street from behind an obstacle. Vehicle drivers may not be aware of your presence. As a parent, take the time to teach your child how to walk through a school zone. This may mean practicing in the days leading up to school when the school zone isn’t busy. Your children should know that they aren’t to run or walk into traffic. Teach your kids how to cross the road safely and supervise any little ones who can’t be trusted to act responsibly on their own just yet. School zones are full of hazards that are not obvious. It is up to everyone to make sure that students and other pedestrians are safe. Think back to the last time(s) you were in a school zone or driving on the road with a school bus. Were you cautious? If not please consider making some changes. If you can be safer, please do so! If you are injured in an accident, speak to a Charlotte, North Carolina pedestrian accident attorney today. Reach out to our office and schedule an appointment for a free case evaluation on the phone or in person. We will speak to you at length about your accident and advise you of your potential rights and options. 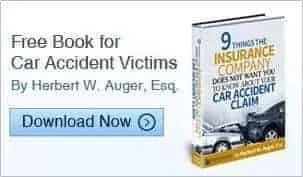 Call today to schedule your consultation and let us assist you in securing the compensation you may be entitled to.